Playscheme, the creator of bespoke play areas, is delighted to announce the appointment of Nick Chandler as Special Projects Manager. Nick brings with him years of experience in developing play solutions in the commercial sector. 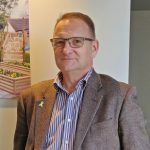 As Playscheme’s work creating themed playgrounds for commercial attractions such as shopping centres and holiday parks continues to expand, Nick’s role will promote the Company’s unique capabilities to this huge, demanding market.